You must have heard about the Joint bank accounts in which two or more persons are owners of the same account and thus account activity is visible to all of them and is carried out only with the consensus of all. Similarly, Multisignature or Multisig technology have the same feature. In this, multiple private keys are required to sign a transaction. Basically, this technology is designed to add additional security to the transaction of cryptocurrencies. Standard cryptocurrency transactions require only a single key for the verification of the transaction. It looks like a single private key provides complete autonomy to the owner of funds. However, this is risky as this system gives complete power in a single string of alphanumeric numbers. And unfortunately, if this key is lost then all the funds of the owner is also lost. But this situation can be avoided by using MultiSignature addresses or wallets. 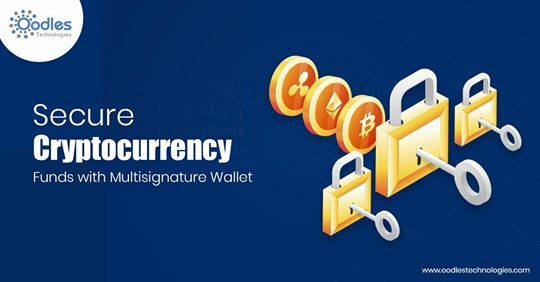 Multisignature wallets require more than a single key and can require a particular combination of keys to verify the transaction and release the funds. In this wallet, it can be defined that total of how many signatures are there for a transaction and out of which how many are required to make a transaction. Therefore, they are also called as M-of-N transactions, where M defines the required number of signatures or keys and N defines the total number of signatures or keys involved in the transaction. The most common multi-sig wallet is a 2-of-3 wallet, means out of three total signatures, two are required for signing a transaction. With this technology, it becomes really impossible to hack and stole the funds and thus it imparts high safety and security to the owner’s funds. The setup is planned in this way that neither the CEO nor the accountant can take away the company money as no one is the single holder of the key. And to access the funds 2 of 3 signatures are always required. Accountant after preparing and signing can pass the payments to the CEO, who then by adding his sign can give further confirmation of the fund release. If either of the two disappears or loses their device, then they can still get access to the company funds with the paper wallet held by the board. So funds are secure and cannot be hacked. Hope this blog has given you sufficient information on why multisig wallets should be used.